Amazing Location and Price! Welcome to 1702 Chesterbrook Vale Court. 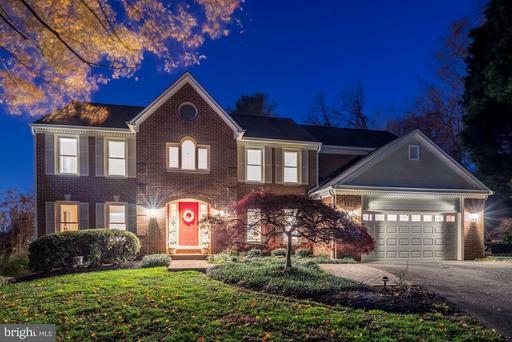 With beautiful views and set on a quiet cul-de-sac, this McLean home is ideally located. The home sits just 2 stop lights to DC and is wonderfully convenient to so much more. Step into the elegant two-story foyer and experience a grand floor plan. On the main level, find the formal living and dining rooms, modern kitchen, and family room with vaulted ceilings ~ perfect for entertaining. Enjoy the main owner~s suite, a wonderful retreat with sitting room, walk-in closet, and spa bath. Completing the main level are a beautifully finished powder room and large two-car garage with extra room for storage. Rest peacefully in a second, spacious owner~s suite on the upper level, located next to three additional, generously-sized bedrooms. Travel to the lower level to discover an ample entertaining space with a large recreation room, complete with a bar. Also on the lower level is an in-home gym, a wonderful bonus room, and a full bathroom. Storage space here and throughout the house abounds. The private backyard oasis is perfect for intimate or large gatherings, with a sprawling deck surrounded by lush landscaping and green space. Don~t miss your chance to enjoy this amazing, serene property in a beautiful and highly sought-after community. Too many upgrades to list, just come see for yourself. Welcome to the Penthouse at the Margie in 16th Street Heights. 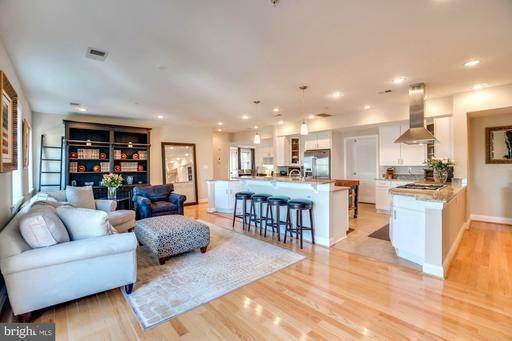 With over 2700 square feet of interior living space, this penthouse condo boasts 3 bedrooms, 3 full baths and a PRIVATE roof deck with 360-degree views of DC. Enter directly via elevator to the private foyer of the fifth floor Penthouse suite. Explore the open, wrap around layout to encounter the formal living-dining room, and spacious great room complete with a chefs kitchen and large family room. The grand owners suite is filled with natural light and ample space for a sitting area. Both additional bedrooms include en-suite baths, with plenty of space for guests and an in-home office. Indulge in sweeping city views from a massive private roof deck totaling 2700 square feet - the roof deck is the actual size of the indoor living space! Dont miss your opportunity to own this stunning and rare Penthouse suite in 16th Street Heights! Welcome to Woodley Park Place, a gated condominium ideally located on bustling Connecticut Avenue. Step into this bright, two bedroom condo and enjoy the open kitchen and dining area. The kitchen, includes a spacious breakfast bar, modern new appliances and ample counter space. The dining and living areas are filled with natural light, and a wood-burning fireplace! The spacious owners suite features lush wooded views, plenty of closet space, and an ensuite bathroom. The second bedroom allows for a cozy guest space or an in-home office with an ensuite bathroom. 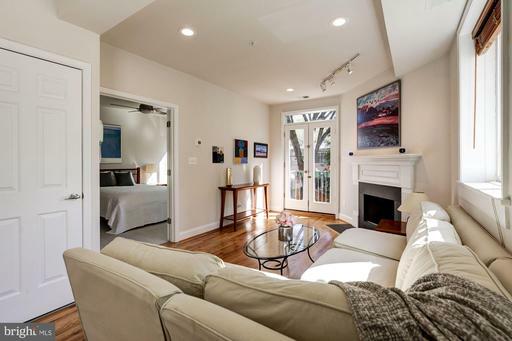 This condo is steps away from the Smithsonian National Zoo, countless restaurants and coffee shops, and more. Enjoy seamless transit to Adams Morgan, Dupont Circle, or Downtown DC. Park your car in the garage parking space and take Metro from the Woodley Park Metro Station located only a half a block away.